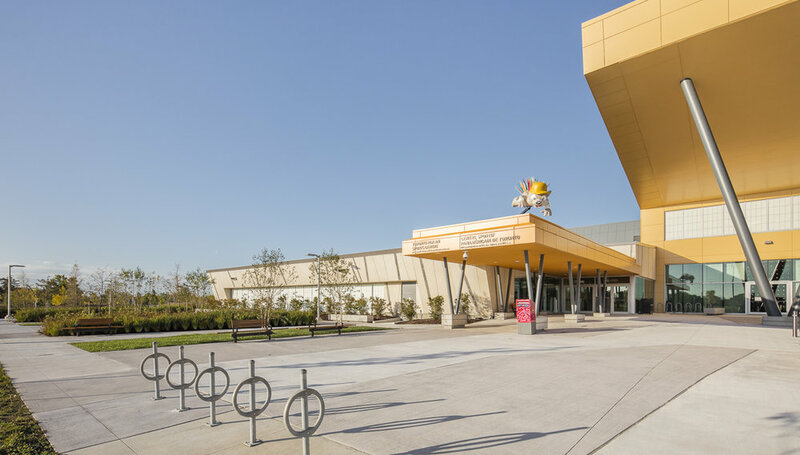 Quinn Design Associates served as compliance Landscape Architects for the exemplary design of this major new recreation facility, which was designed and built for the 2015 Pan American Games by the project’s proponent team led by PCL Constructors. Located north of the University of Toronto’s Scarborough Campus, the facility includes an Olympic-sized pool, practice pools, diving tank, gymnasium, climbing wall, and administration spaces. The project now serves the campus and the larger community. 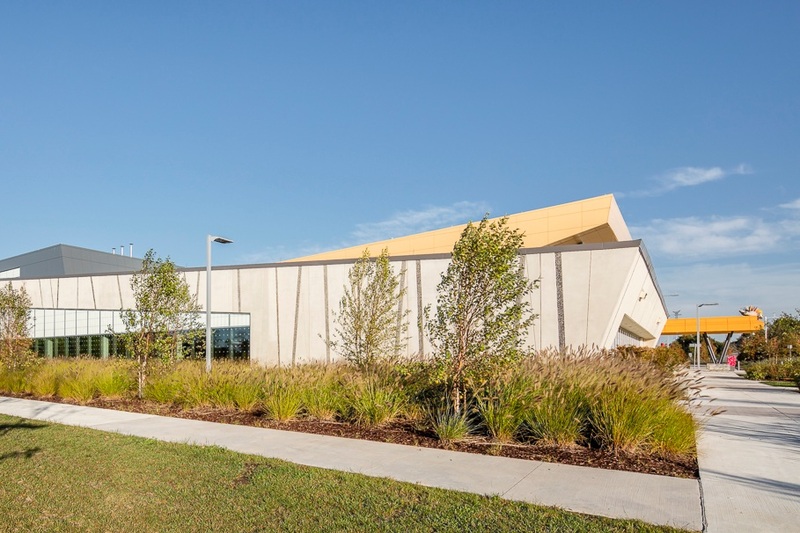 Our design guidelines complemented the adjacent natural ravine and promoted sustainability with: predominantly native drought-tolerant plants; by limiting the areas of maintained lawn; and by using stormwater from the building roof to irrigate plants. Parking lots are softened by generous landscaped islands planted with large native deciduous trees, ensuring abundant shade and reducing heat gain. The extensive areas of paving needed to accommodate the anticipated crowds were designed with two colours of concrete to reduce the heat island effect.